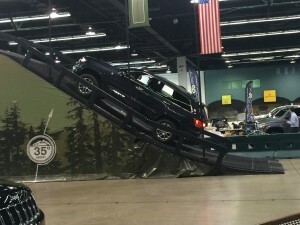 If you missed the first two days of the OC auto, don’t miss the last two. 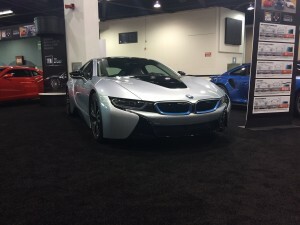 This years show has a few great cars like the BMW i8 and the new Corvette Z06 along with dozens of everyday cars you might want to buy like the new Bentley GT. If you are looking for an electric car, the new e-Golf from VW, and the Cadillac ELR are both there along with the normal Prius family and the Chevy Volt. My big surprise was in the truck department. The best gas mileage of any 4×4 went to a full size Dodge Ram 1500 Turbo Diesel. The truck is bigger than I want but it kicked all the big trucks and little trucks right in the EPA. When I had my Toyota Sr5 pickup in the 80’s I got 28 MPG, the new Toyota’s and Nissans get 18 in the 4×4, a number beat by full sized Fords, Chevy’s, Dodge and the new Chevy Canyon if you are looking for a smaller truck. The most fun was the Jeep Trail Ride and Camp Jeep. Well worth waiting in line for, see the photos and videos we took. A couple of interesting vendors were there with microfiber polishing and some new wax products, and there was a kids center. Toyota had a pretty cool custom Siena Van with a push button DJ booth. A Bed tray slides out the back, speakers pop out of the roof, just add party guests and dueling iPhones and you are ready to rock! 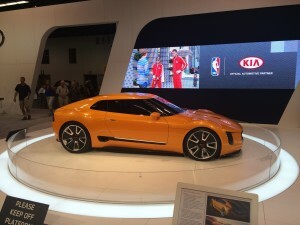 I didn’t find any half price deals or Groupons for this one, but if you bought a new car recently in OC, call your salesman, rumor has it a few dealers have free tickets. Adult $12, Military with ID $10, kids – Sorry I forgot. 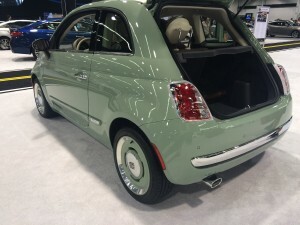 Cool looking little car but 30MPG and no GPS? Do you really want to be that Retro? 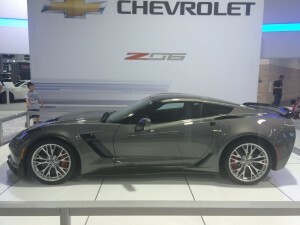 2015 Z06 Corvette – La Machine! 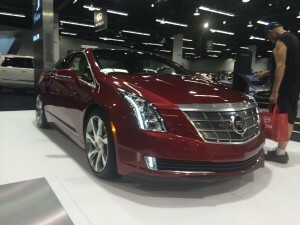 Cadillacs upscale super gorgeous version of the Volt. 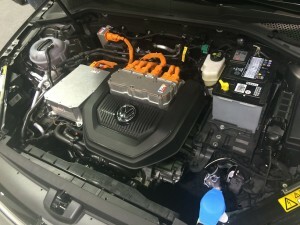 The e-Golf, Nothing new here, 70-90 miles just like all the other compact e cars. 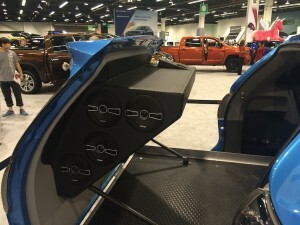 Rolling DJ Booth by Toyota, This was quite cool and unexpected from Toyota. Previous Topic: Bluetooth Fix For iOS 8, 8.0.1 and 8.0.2 ?